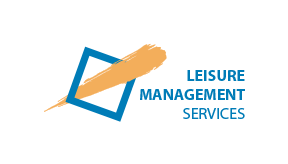 At each of the leisure facilities under the direct management of LMS, a record of continual growth in sales and patronage has been regularly achieved. This has often been achieved despite adversity due to prevailing weather and general economic conditions. Since its inception, LMS has consistently developed its services to be responsive to the needs of customers and to improve the overall quality of programs. A selection of such innovations includes the introduction of tailored facility software packages, a programmed approach to the development of golf and tennis programs i.e. Junior Tiger Golf Academy, introduction of innovative health and fitness programs, integration of boutique gymnasiums into golf course settings, strategic marketing initiatives including ‘e-blast’ and ‘Active Carrot’ and an acceptance for and understanding of the importance of staff empowerment through participation in decision making.